Get ready for the magical retail therapy with the wide Kerala shopping options! Kerala is a popular Indian travel destination that receives a heavy number of tourists every year owing to its sublime natural beauty and rich culture and traditions. But it is not just its beauty or various enjoyable activities that attract travellers from all over the world, but also the great opportunity for your Kerala shopping trip. A plethora of fantastic items such as aromatic spices, coffee, exquisite silk products or intricate jewellery that you can either get only here or have to compromise on quality elsewhere, is a major attraction too. 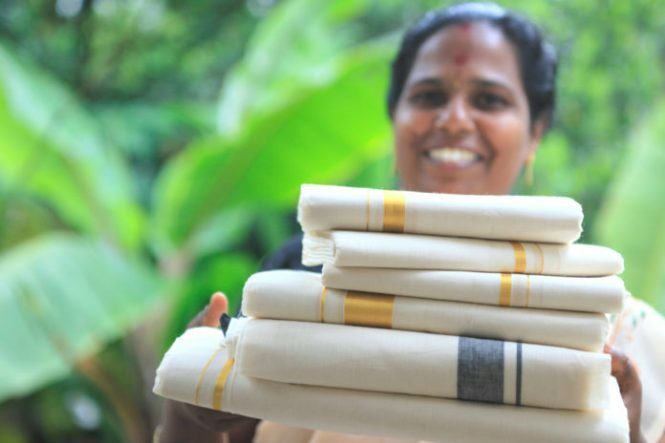 Read on to find out what to buy from Kerala and from where. Kerala tour packages are the best to indulge in the serene beauty of Kerala. It is no wonder that 10 million tonnes of coffee are consumed every year, such as the magic of this humble cup of beverage. 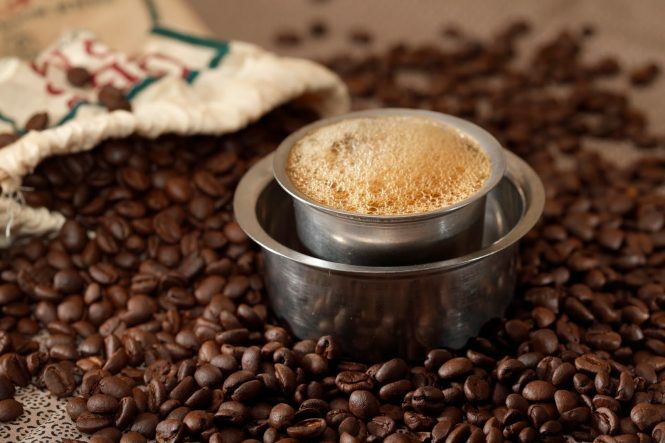 If you too belong to the coffee-loving brigade, your Kerala shopping expedition can never really begin for you without getting your hands on an aromatic bag of locally grown Kaapi. The delicious Malabar Monsoon Coffee available here is also a fantastic option to choose. Rich in flavour, aroma and colour as well, this coffee beans powder not only makes for a fantastic item to buy in Kerala not only for yourself but also as a souvenir or gift for your friends and family. Just like coffee, tea also finds its fans almost everywhere in the world and Kerala has some superb offerings on that front too. The Nilgiri tea cultivated here is made from superb tea leaves which have a beautiful flavour. The delicate and smooth taste and colour of this tea are simply amazing. This makes this product an equally worthy item to buy when Shopping in Kerala. It is both a practical thing to invest in and also makes for a wonderful gift. Kerala is famous for its Ayurvedic treatments for various purposes from treating certain ailments to beauty procedures too. There are many places to visit in Kerala that are world famous for their Ayurvedic treatments, yoga and more. The massages are carried out through different therapies using various aroma oils, based on the concept of aromatherapy. Even most of the resorts and hotels in the state have spa centres offering rejuvenating massages. Therefore buying aroma oils has inadvertently become an important part of your Kerala Shopping experience. 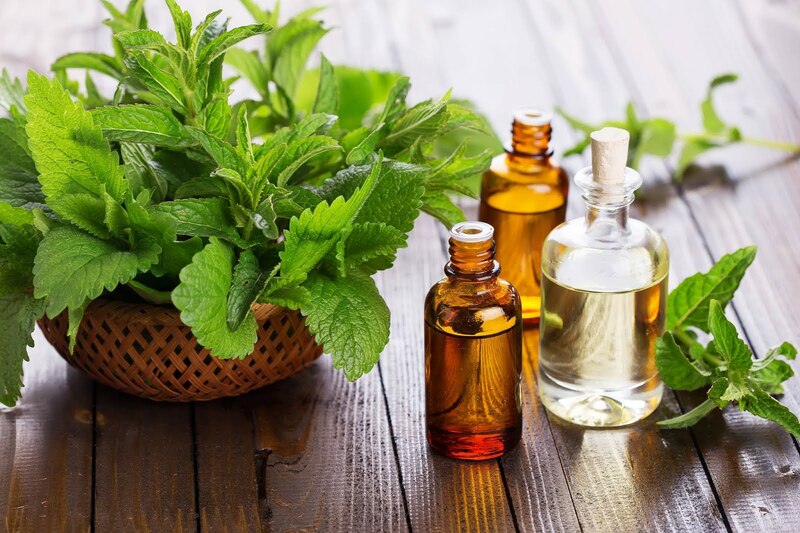 You will find top quality aroma oils here of different varieties, used for different purposes. 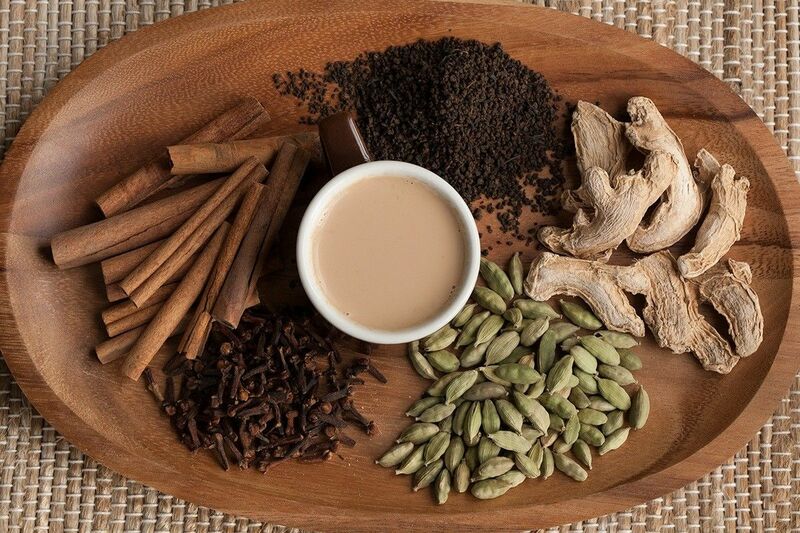 The warm and humid climate of Kerala is perfect for the cultivation of a variety of rich spices like cardamom, star anise, black pepper, turmeric, cinnamon, clove etc. This makes it perfect for you to go shopping in Kerala for these lovely and aromatic spices as well. What makes it even cooler, is the fact that since the usually expensive spices are grown here, you can get them at really competitive prices. 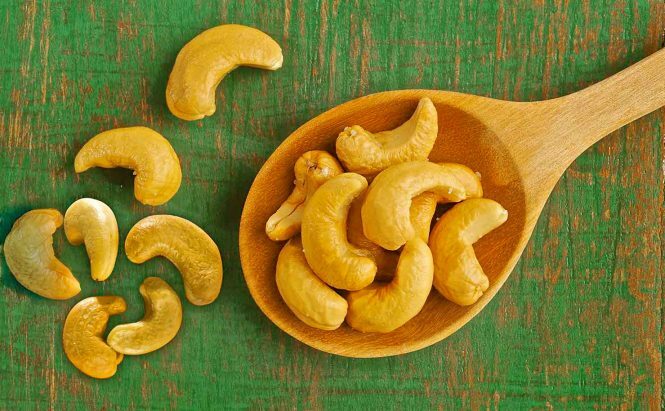 Just like spices, tea and coffee, cashew nuts too find their origination in the fertile land of God’s Own Country. Hence, if you want to stock up on your supply of nuts, it is a great way to do so while you are out for your Kerala shopping trip. You can get them at a fairly lower price here, without compromising on the quality. Kasavu Mundu is the traditional Malyalee dress or dress material which is a typically handmade pure cotton fabric adorned with a zari border. However, nowadays it is being worn by other people as well for temple visits or on traditional ceremonies. It can be a great addition to your bag while shopping in Kerala. Where: Local as well as branded outlets all over Kerala. There is also some govt. authorized Kerala Tourism outlets where you can get stuff. 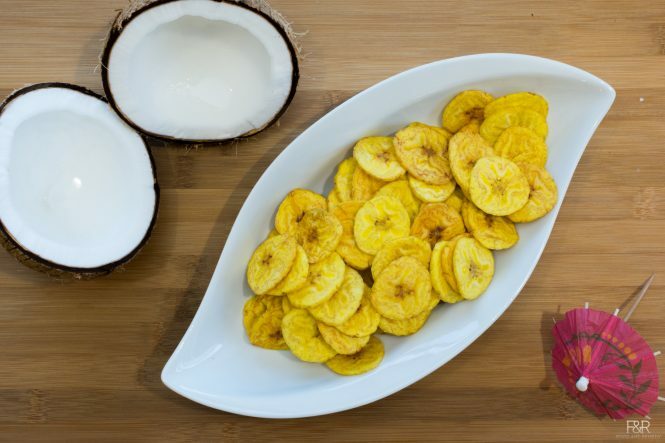 Banana chips are another famous and must-buy items of the state, making them an unavoidable part of your Kerala Shopping spree. 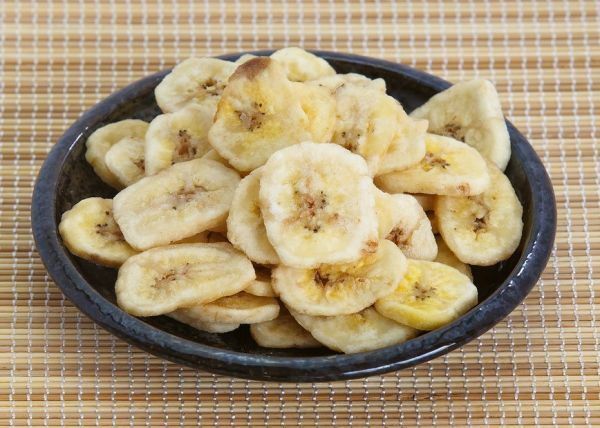 These yummy and light snacks made out of raw bananas is profusely available all over Kerala. Just make sure you taste them beforehand and bargain if purchasing in a bulk. Where: Local stalls in and around Kochi, the capital which is another amazing destination in our list of places to visit in Kerala. Coconut and Coir Items: Kerala is well known for its abundance of coconuts. This makes it an ideal place to grab some coconut or coir based products such as rugs, wall hangings, pure coconut oil, mats, delicacies made of coconut and other cool stuff made from its husk. Nettipattam: Elaborately decorated elephants can be seen here on various occasions like certain ceremonies, marriages or festivals. 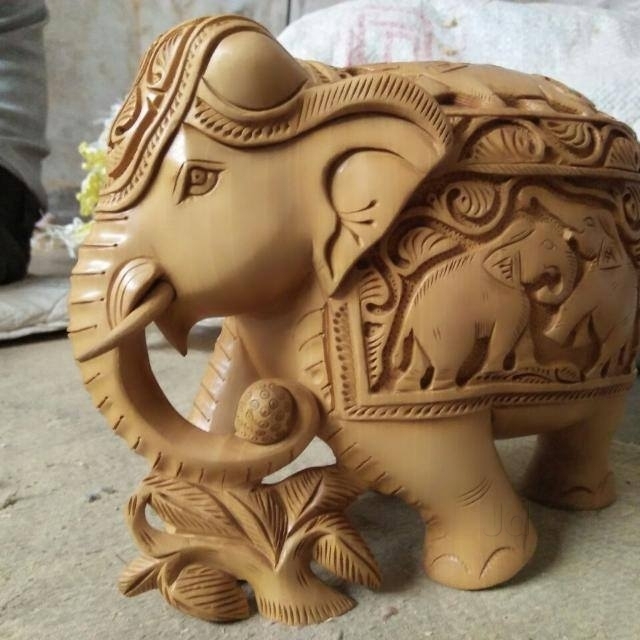 You can either buy the miniature forms of these gorgeous elephants and place them as a mantelpiece, or go shopping in Kerala for Nettipattam which is their decorative ornament that can also be used as a lovely home décor item. Kathakali Masks: Often represented through the expressive and vibrant masks and dance of Kathakali, the classical dance form is really the face of the state. This certainly calls for shopping in Kerala for this beautiful masks which you can hang in your home or stick one as a fridge magnet. Wooden Caskets and Boat Models: Known locally as Nettur Caskets and Chandan Vallam, these ornately crafted wooden chests can only be found shopping in Kerala. You can use these dainty boxes to store knick-knacks such as rings or earrings or simply place them in your drawing room to receive some admirations from guests. Same goes for boats or Urus, which are the lovely little models of the popular snake boats of Kerala, used in the boat racings. 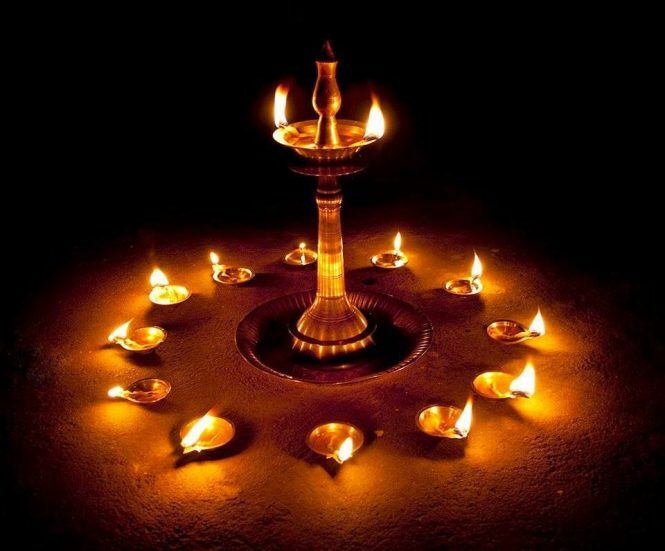 Nilavilakku: If you are a fan of decorating your home in the colour of Indian traditions and culture, or simply want a beautiful lamp for your home, Nilavilakku or the traditional Malayali Oil Lamp is another great item you should buy while you are out for some Kerala Shopping. 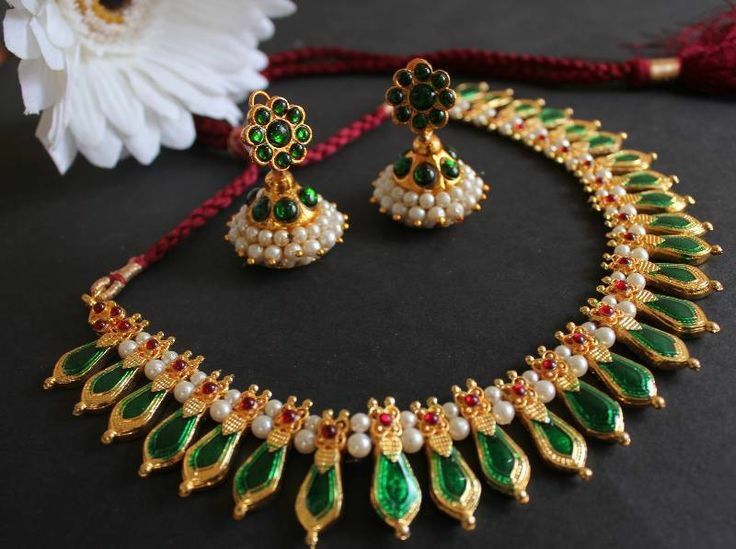 Jewellery is another important must-do items in the list of things to do in Kerala. The intricate designs embellished with different precious and semi-precious gems or pearls is simply fascinating. To celebrate the womanhood in you or to gift someone you adore, you can buy these superb pieces of jewellery in gold, depicting the true Malayali style, and the artificial one too, which are as good as the real ones. Kochi is a wonderful place to buy a variety of items including wooden or brass figurines, colourful jewellery, bamboo and shell wall décor items, sandalwood bangles etc. 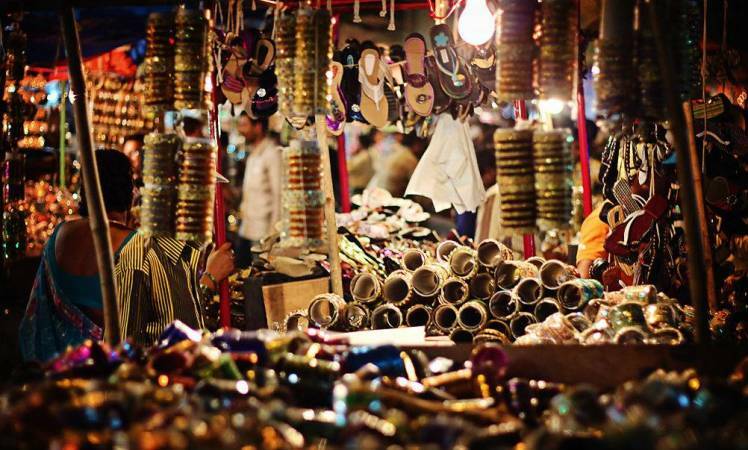 Where: MG Road- It is a fantastic spot to go shopping for decorative items in Kerala. You can also pick items like toys, readymade clothing, footwear, fabrics, jewellery, nuts etc. 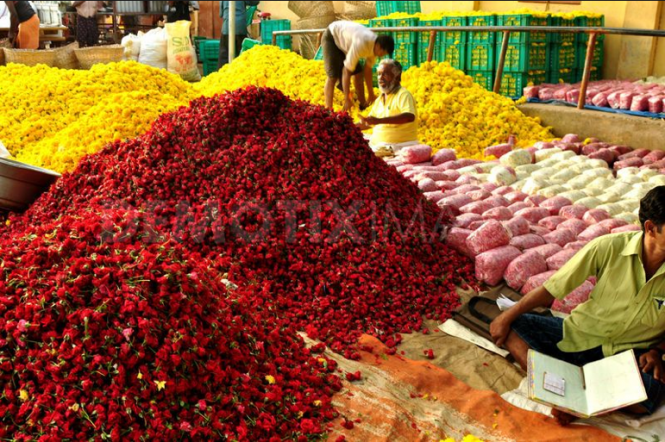 Spice Market– The Spice market at Mattancherry is a famous place for Kerala shopping. 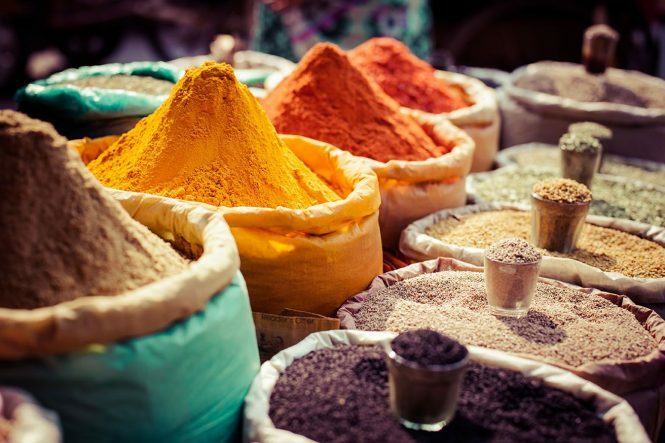 It is one of the best places to buy a variety of spices besides being an amazing place alive with bustling crowds of both locals and tourists, and the scintillating aroma of the fresh spices like cardamom, pepper, ginger, turmeric, cloves etc. Lulu Mall– Spread in a huge area of over 17 acres, Lulu Mall is a great place for shopping in Kerala. It draws tourists all the year round owing to its more than 215 shops, bowling alleys, skating rink and a humongous food court. 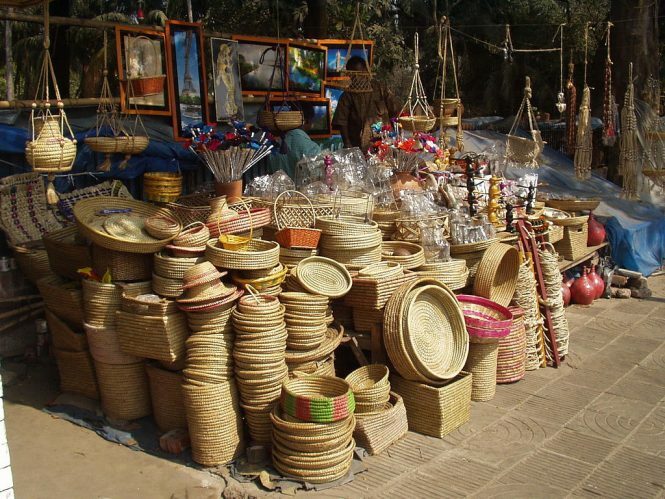 Trivandrum is a fantastic place for Shopping in Kerala, especially if you are interested in handicraft items. You can find a variety of objects such as coir mats, rugs, Kathakali masks, copper and brass figurines, wood carvings, terracotta items etc. Chalai– Chalai is among the busiest street markets in Kerala. The locals head to this place to buy their daily staples like groceries etc. while tourists prefer it for its vibrancy and to buy some readymade garments and local beverages. Connemara Market-Connemara Market which is also widely known as Palayam Market is a popular Trivandrum destination offering a great Kerala shopping experience. The marketplace is filled with shops selling a variety of household products, fish, coir items, grocery, live goats, garments, vegetables, spices etc. It also sells wine and mistletoe during the time of Christmas. Munnar is well known for its tea and spice plantations. You can thus buy tea and a range of spices from here at very low prices. These items also make for wonderful gift items. Apart from these, you can also shop for traditional Kerala items like earthen pots or utensils made of copper and bronze. Handicraft items like Uru or snake boat models, sandalwood chest or bangles and traditional oil lamps called Nilavilakku that you can buy from Munnar, complete your Kerala shopping. Where: Tata Tea Company for tea, Shrishti Welfare Centre for Sarees, textiles and gift items, Mattupetty Dam Market for wooden artefacts and accessories, and Local Town Market for spices, aroma oils, homemade chocolates etc. Kovalam beach consists of numerous shops and small shacks that offer pretty trinkets, clothes, locally made carpets and handicraft items. You will also find here statues carved out of teakwood and rosewood which are undoubtedly the most famous products sold in the area. The beach area is a brilliant spot for Shopping in Kerala since you can find a treasure of different items like chunky jewellery, local artefacts, Tibetan trinkets, Kashmiri Shawls, Malabar spices, curios, handloom sarees and paintings too. Where: There are many shops located here selling antiques. Also, the stretch of Lighthouse Beach is a great place for some good shopping in Kovalam. There are many great places in Kerala, ideal for Shopping for a variety of items. However, the best and the unmissable would surely be some local goodies like spices, tea, coffee, coir mats and handicraft items like Kathakali mask. Although there are still many and so many places in the state ideal for your Kerala shopping frenzy, make sure you do buy these items and shop from places like Kochi and Munnar for their worth in gold. So, here’s wishing you a wonderful trip and great experience of shopping in Kerala. 1. What are some must buy items in Kerala? Coir products like rugs, mats, wall hanging etc. Handicraft items like Kathakali mask, Nilavillaku oil lamps, sandalwood caskets, model snake boats etc. 2. What are some famous markets in Kerala? 3. What are some famous malls in Kerala for Shopping? Get ready for the magical retail therapy with the wide Kerala Shopping options! 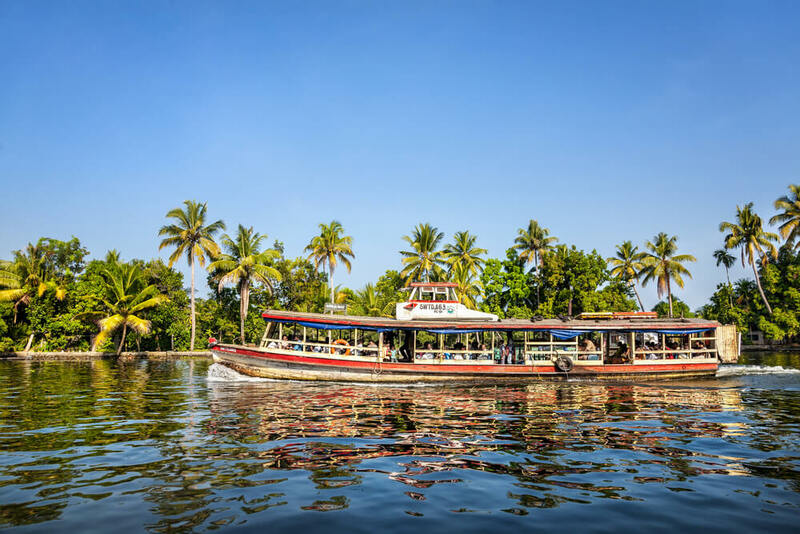 Kerala is a popular Indian travel destination that receives a heavy number of tourists every year owing to its sublime natural beauty and rich culture and traditions.